Camps "Curcic" and "Guca" and is located just couple meters from stadium where all concerts organize. 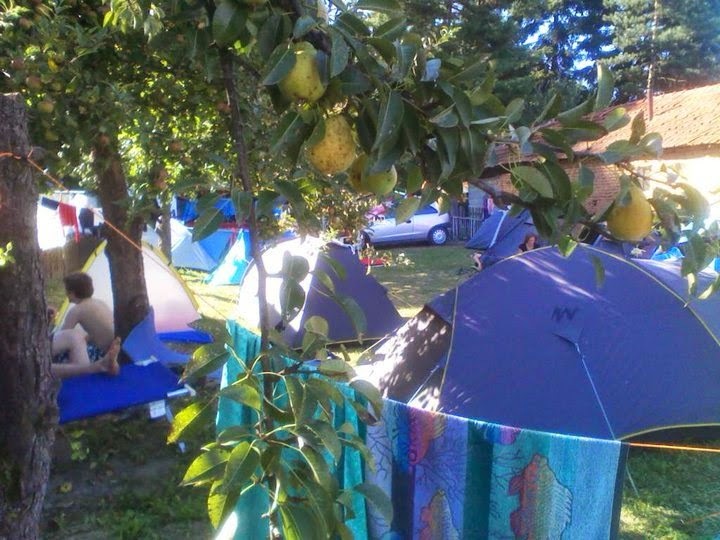 Camp "Planet paprika" is located on free places, in private houses yards. Camping "Centar" is located near Police station. If you want to make reservation for camp, please send your names, date when you want to arrive, and how many nights you want to stay. You need to bring your tent with you. We will organize together evenings for all our guests, so please bring with you national flag of your country. Last couple years we try to make Guca Trumpet festival more international, not just to present Serbia national symbols. Terms of payment: After we receive request for reservation we will send you confirmation email and Invoice for payment. Prices are valid from 01.05. Please note that more than 600.000 people visit Festival for just couple days and that numbers of beds are limited. We need names for all person who will come. Please contact us for reservation of accommodation in Guca ♫♫♫.